I can't believe I've already been back in Buffalo for three weeks and only have three weeks left here before I go visit the parents in Chicago and then move to Houston in September. Upon arrival, I consulted with Yelp to see if there were any new cupcake bakeries to patronize during my summer stay. Baked Cupcakery opened up last fall in Grand Island, which is just south of Niagara Falls. There were seven flavors available today and flavors are announced daily on their facebook page. 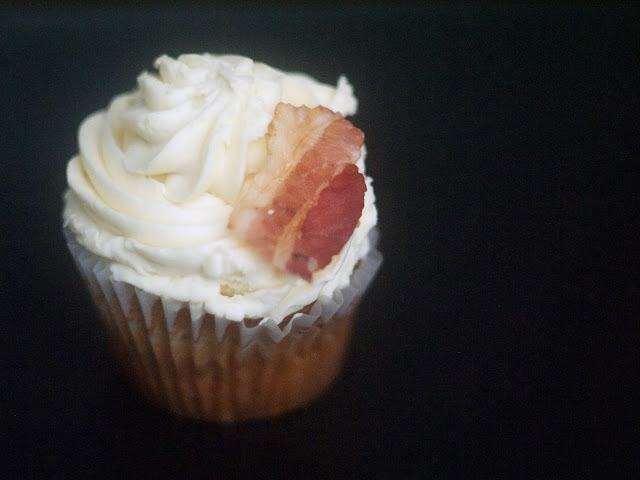 As soon as I saw bacon, I ignored all the other flavor options; I only had eyes for the maple bacon cupcake. Each cupcake is $3.00. The crumb was fluffy but to be super picky, it was not quite as moist as I would prefer cakes to be. After I scraped off 75% of the frosting, it made for a delicious treat. 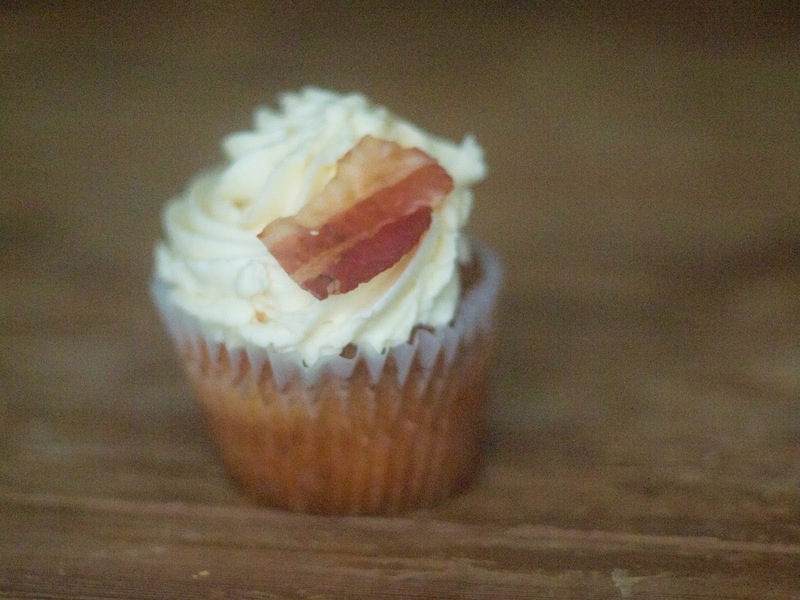 Flavorful and not too sweet and well-balanced between the maple, bacon and pancake flavors. It was very reminiscent of my all-time favorite cupcake in Seattle. This cupcake was a close second to being my favorite bacon cupcake. For $3, you get quite a large cupcake that is flavorful and delicious. Beware of the giant mound of frosting on top each cupcake.